BEIJING (Scrap Monster): According to most recent forecast by the China Iron and Steel Association (CISA), the Chinese annual crude steel output in 2015 may see decline for the first time in three decades. According to CISA analysis, the country’s crude steel production is likely to drop slightly by 1.07% over the previous year to total around 814 million tonnes in 2015. The slowdown in Chinese economy has adversely hit the country’s real estate sector. The weak demand from construction sector will lower the domestic crude steel production in 2015. 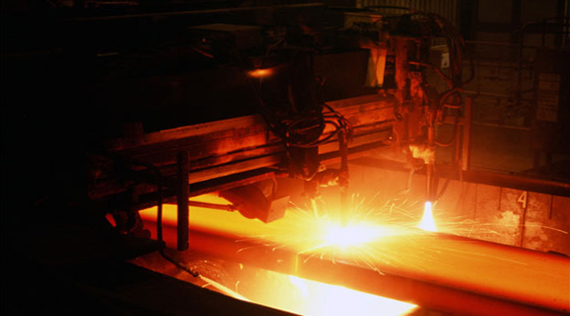 The statistics released by the National Bureau of Statistics (NBS) indicates that the rise in Chinese crude steel output in 2014 was just 0.9% when matched with the 7.5% growth recorded during 2013. The CISA report also states that all major categories of steel products witnessed huge decline in prices during 2014. The price of rebar, extensively used in building construction sector, declined 12.9% over the previous year. The lack of demand from automotive industry resulted in 6.78% drop in galvanized steel sheets. The steel mills will face tougher times ahead, with the implementation of stricter Environment Protection Law by Chinese authorities. The drop in Chinese crude steel production will lower the demand for iron-ore. This in turn will affect the profitability of global iron ore mining giants who depend heavily on Chinese ore demand. CISA forecasts that iron ore imports by the country may likely cross 1 billion tons in 2015, growing by 7.1% over the previous year. China had imported 932 million tons of iron ore during the entire year 2013, rising by 13.8% from 2012.